Not A Ghost Of A Chance! 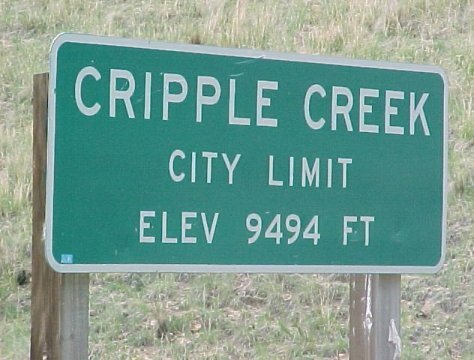 Welcome to Cripple Creek, Colorado. Historic mine shafts, headframes and cabins dot the landscape here in the high country behind Pikes Peak, and gold mining is still in full swing at Colorado's largest open pit mine located between Cripple Creek and Victor. 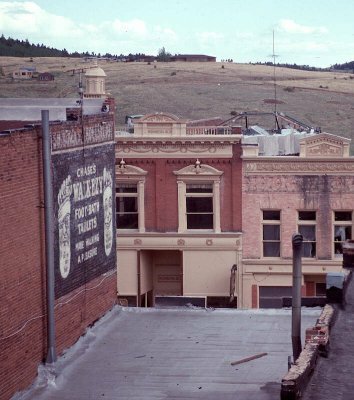 Cripple Creek is also one of three Colorado communities that offers limited-stakes gaming, and while the town's golden history lures many, thousands also flock to Cripple Creek to try their luck at a different venture. Poker, blackjack and slot machines abound in the city's casinos, and both new and historic hotels are on line to help accommodate those who want to spend a few days trying their luck or just taking in the scenery. One of the more popular hotels in town is the Imperial Casino Hotel at 3rd and Bennett Avenue. Originally called the Collins Hotel, the Imperial has been in operation since the 1890's. 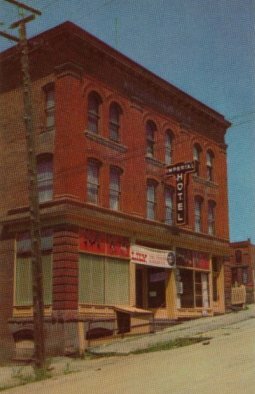 In 1948 the hotel became the home of the Imperial Players, and for nearly 50 years, the hotel's Gold Bar Theater hosted the longest running melodrama theater in the United States. In 1992 the hotel added limited stakes gaming to its list of attractions and began operating as the Imperial Casino Hotel. It was the following year when I started working at the Imperial. I'd just finished a twenty year stint in the Air Force and needed to make a few dollars while trying to decide what I wanted to be when I grew up. The pay wasn't much, but working the graveyard shift gave me plenty of time to study for my college classes. After the casino doors closed at 2:00 a.m. and the din of the slot machines died down, it got real quiet--sometimes too quiet. This is the view from the employee break area on the third floor of the casino, the place where I first heard the unusual tale of "George," the Imperial's resident phantom. It was my first night on the job, and I was nursing a third cup of coffee in as many hours when one of my co-workers made the comment that if George showed up I'd be wide awake in no time. Thinking that George was one of the owners or a staff member, I asked who he was and exactly how he was going to keep me from nodding off. Everyone just laughed, and finally the security guard proceeded to tell me all about George. Have you had an experience at the Imperial Hotel you'd like to share?